This project was based on the safety requirements required to attain validation to BS EN ISO 62061 for a Bogie Line, Separator and 5 Tonne Grab on behalf of Hanson Thermalite. The bogie line as an entirety consists of 15 bogie transport motors, this is split half-way into the north and south end each having 7 and 8 motors respectively. The two areas are split by Light Guard 14 and are made-safe by dual-redundant contactors controlled from the newcutter-line system. 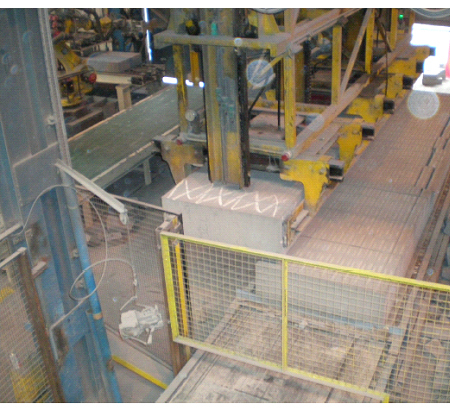 The separator tilting table area had recently been upgraded onto a safety PLC with the addition of new light curtains and laser scanners by a third party contractor but did not conform to current safety standards. 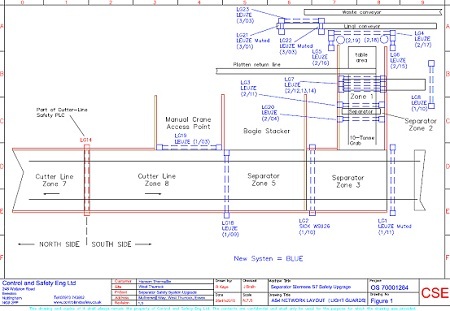 Additional work was also undertaken to ensure all control was taken from the existing Cutter Line fail-safe PLC and expanded it to include four new safety nodes for switching devices associated with the new scheme. The upgraded safety PLC was to be removed and all light curtains to be replaced with Leuze to enable proper validation. See diagram below. 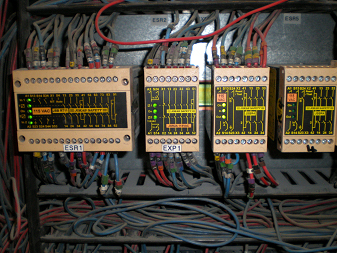 All new safety devices were to be connected to an AS-I SAFE system via DP/AS-I F-Links. The image below shows the original bogie-line layout. There were a number of systems/devices acting in the same area which caused confusion. They were added to by systems having different safety-integrity, dependent on which access path was used to gain entry to the machine. We suggested that a logical approach to the way the system was controlled would be applied. For example, the cutter line houses a Siemens S7 Fail-Safe PLC and the separator had recently had a PILZ PSS Fail-Safe PLC installed. In the middle of the two there was a hard-wired system which did not conform to current safety standards. 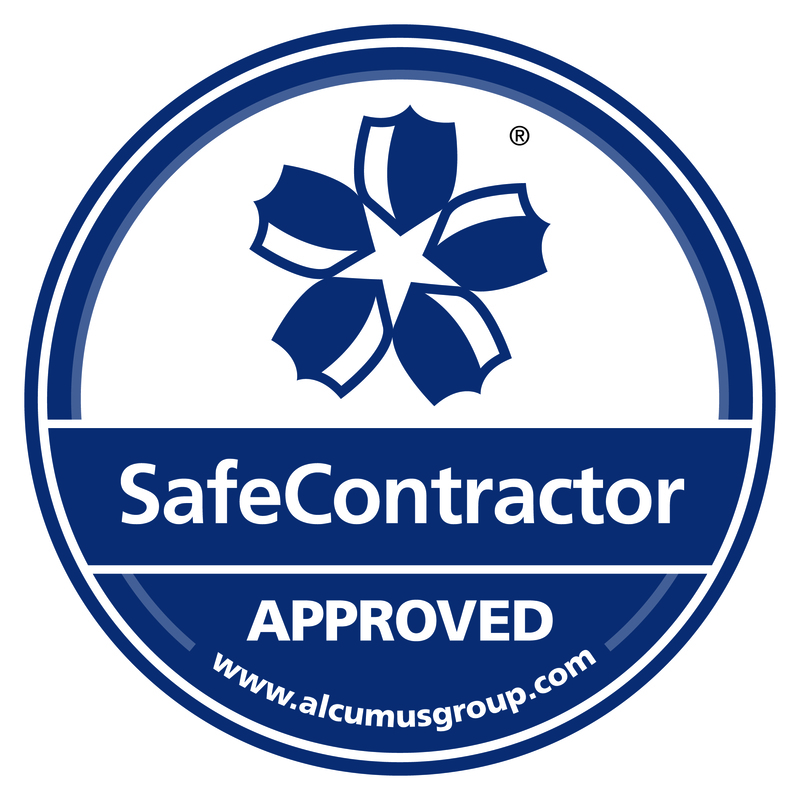 We believed that the best option was to totally remove the hard-wired systems and move all of the safety control onto the existing cutter line Siemens S7-F Safety PLC. To gain production benefits we suggested further zoning of the bogie-line and separator in-feed. Replacement of all existing (no-conforming) light guards for Leuze Compact Plus Type 4 range. Seventeen new light guards in total. The emergency stop system was made to take priority over all safety zones. All zones were made to de-energise on an e-stop. In addition we ensured that the emergency stop must be reset before any zones could be reset. The e-stop functions were written purely in the software and the actual switching of the actuators were made to be carried out by the de-energisation of each individual zone in the software. From the above you can see that various parts of the machinery overlap into different zones which meant that 15 individual fail-safe outputs were required. 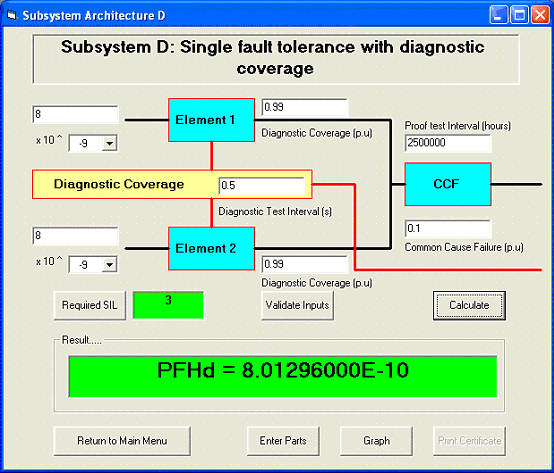 The figure below represents a system with single-fault tolerance incorporating diagnostic coverage. 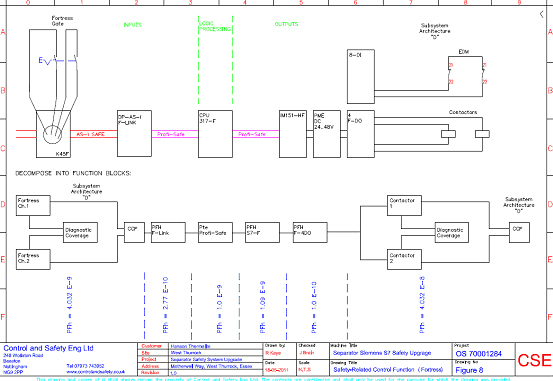 This layout can be applied to both Fortress Contacts shown in SSE 1 and the contactor outputs incorporating EDM signals. The example below represents SSE 1 by the use of dual Fortress AmGuard contacts for input switching. 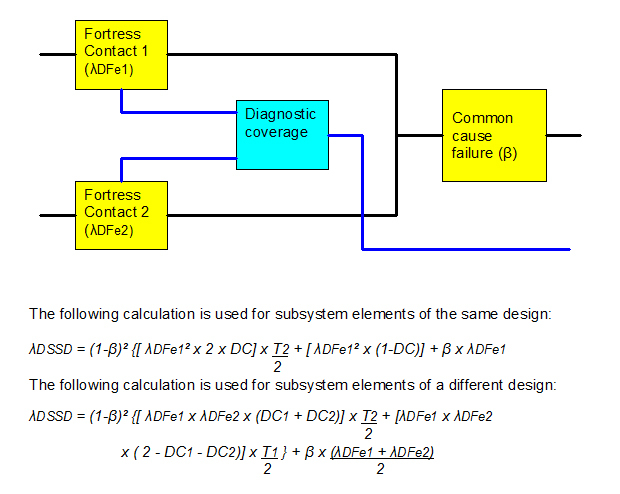 The susceptibility to common-cause failure within control function system design is estimated using Table F.1 of Annex F in BS EN ISO 62061. Using this method, β was estimated at 0.1 from an overall score of <35. The diagnostic coverage (DC) is classed as “medium” and is taken from table 6 of BS EN ISO 13849:2006 “Safety of machinery – safety related parts of control systems”. From table 6, “medium” is taken as 90%-99%.